Rabbi Mordechai Shmuel Ashkenazi—the longtime rabbi of Kfar Chabad, Israel, author of scholarly works on Jewish law, and a leading rabbinic figure in Israel and beyond—passed away today in Israel. He was 71 years old. He was born to Rabbi Moshe and Devorah Ashkenazi in 1943 in Tel Aviv, where his maternal grandfather, Rabbi Eliezer Karasik, was rabbi of the Chabad-Lubavitch community. His paternal grandfather, Rabbi Meir Ashkenazi, was the famed rabbi of Shanghai, China, who was instrumental in saving many Jewish refugees who fled there during the Holocaust. 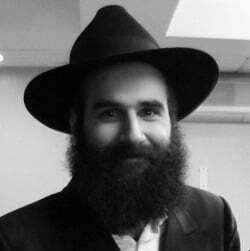 As a student at Chabad yeshivahs in Tel Aviv, Lod, and later, in Brooklyn, N.Y., and Montreal, Canada, the young scholar was widely admired for both his devotion to Torah study and his phenomenal memory. The Rebbe went on to quiz him in the chapters of Talmud and Tanya that he was then learning, displaying a deep interest in his scholastic achievments. In the same meeting, the Rebbe advised him not to attend summer camp, since his mission was to learn Torah assiduously. As a yeshivah student, Ashkenazi went on to have many meetings with the Rebbe, in which the Rebbe’s concern covered many areas, including providing tips to improving the memory. Ashkenazi received his rabbinical ordination from Kfar Chabad’s first rabbi, Rabbi Schneur Zalman Gorelik, and taught in the Chabad Yeshivah in Kfar Chabad. Rabbi Mordechai Shmuel Ashkenazi around the time of his first meeting with the Rebbe. At the Rebbe’s behest, he began to collect and arrange sources to the rulings found in the “Shluchan Aruch” (Code of Jewish Law) of Rabbi Schneur Zalman of Liadi. In 1972, he completed the first volume and sent a copy to the Rebbe. The Rebbe noted the accomplishment at a sudden celebratory farbrengen on 24 Tevet of that year. The Rebbe congratulated him privately on the accomplishment, telling him that it led to greater interest in learning the code and gave him advice on how to continue. When the young rabbi showed his work to the venerable Rabbi S. Y. Zevin, the older man—who spearheaded the Encyclopedia Talmudit project—was so impressed that he gave the young man rabbinic ordination on the spot. In 1974, following Rabbi Gorelik’s untimely death, Rabbi Ashkenazi was appointed rabbi of the village. He was all of 31 at the time. As rabbi of Kfar Chabad, one of his early innovations was to use stainless-steel surfaces for the matzah-baking—something that was viewed with suspicion by many traditionalists. The Rebbe—referring to himself as “a small chemist”—supported his decision, saying it did not pose a risk of making the matzahs leaven. Ashkenazi’s most significant contribution to Torah scholarship was possibly his multi-volume definitive edition of Hilchot Talmud Torah (“Laws of Torah Study”) by Rabbi Schneur Zalman, to which he added copious footnotes and explanations. In subsequent years, he wrote extensively on other matters of Jewish law and practice, giving special attention to Chabad customs. An expert in many areas of Jewish law, he enjoyed a close relationship with many of Israel’s leading rabbis, notably the former chief rabbis—Rabbi Ovadia Yosef, Rabbi Mordechai Eliyahu and Rabbi Shlomo Amar, among others. Although he was the rabbi of a relatively small village, he was a respected member of many rabbinic boards in Israel and abroad. At the Rebbe’s behest, he would consult with Rabbi Moshe Feinstein on matters of Jewish law. Ashkenazi traveled widely to confer ordination on hundreds of aspiring Chabad rabbis all over the world, helping to raise a generation of learned and qualified rabbinic leaders. Rabbi Ashkenazi left Kfar Chabad this morning at 11 a.m. to travel to Tiberias in order to visit the gravesite of his father on his yahrzeit (anniversary of passing). He soon complained of severe chest pains and collapsed. He was immediately rushed to Tel Hashomer Hospital in Ramat Gan, where after many resuscitation efforts, he passed away—one day shy of the 40th-year anniversary of the day he was appointed rabbi of Kfar Chabad. He is survived by his wife, Sima (Wolpe), and their children: Gitah Brod; Rivkah Kaplan (Sitriyah, Israel); Rabbi Meir Ashkenazi (Safed, Israel); Rabbi Chaim Eliezer Ashkenazi (Montreal); Rabbi Zelig Ashkenazi (Yekaterinburg, Russia); Mrs. Chaya Feigel Wilhelm (Detroit); Rabbi Menachem Mendel Ashkenazi (Israel); Rabbi Schneur Zalman Ashkenazi (Rishon Lezion, Israel); Sholem Ber Ashkenazi; Rabbi Yosef Ashkenazi; Rabbi Yisroel Ashkenazi; and Rabbi Yehuda Ashkenazi. 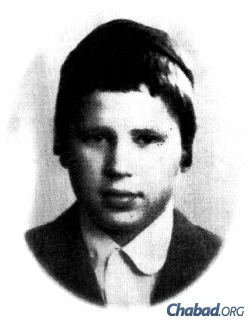 His surviving siblings are Mrs. Malka Wilshansky (Safed, Israel) and Mrs. Esther Twersky (Brooklyn, N.Y.). The levaya is scheduled for 10 a.m. on Thursday in Kfar Chabad. Internment will take place in Tiberias, alongside his parents and siblings. 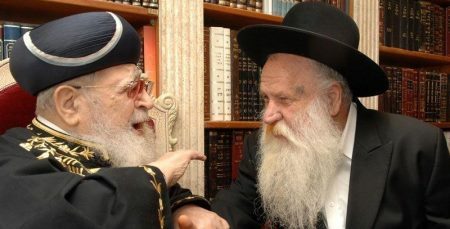 Harav was 71 Big loss! Great rightous man and rav.